That was how the Alberta Sugar Beet Growers’ executive director, Gerald Third, summed up negotiations between growers and Lantic Inc.
As both sides are without a contract for the 2015 growing season, beets have not yet been seeded. “Growers would like to get a crop into the ground,” said Third, who added Lantic has made its stance very clear so far in negotiations. With that in mind, Third said the offer the company has made the growers simply will not fly. “They want growers to produce sugar for $5 a tonne cheaper than last year,” said the executive director, who added both sides are looking at the economics of the situation, scratching their heads and wondering where to go next. Doug Emek, general manager of Lantic Inc., could not go into specifics in terms of the negotiations. He added Lantic is still optimistic both sides will strike a deal. According to Third, should negotiations go south, the implications of potentially abandoning the sugar industry in southern Alberta are immense. 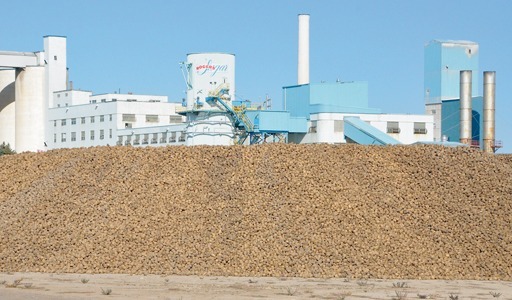 “Sugar beets are like an institution here,” said Third, who added many have been growing beets for decades, though he admitted the landscape for sugar is changing. Third said those political and global economic issues are of little concern to the growers here in southern Alberta, as he added farmers just want to get back into the fields and produce a crop. For Lantic’s part, Emek added the company is willing to take talks to the next level, should growers agree, as he mentioned Lantic would be open to mediation.